Now that our gardens and landscapes are heating up, it is the perfect time to plant annual flowering vinca. This beauty provides hot summer color you just can't beat. Annual flowering vinca is a solid performer in Mississippi gardens, so I always make sure to plant some in my landscape. Botanically speaking, annual flowering vinca is Catharanthus rosea. In garden centers, the pot tags sometimes call it Madagascar periwinkle. I know we all want to get summer color out as soon as possible, and garden centers offer many selections to tempt us to start planting. But planting too early before temperatures rise can set up the conditions for root disease. Another common cause of failure is wet soil. Annual flowering vinca does not like to grow with wet feet. Some of the very best vinca plantings I have ever seen were growing in raised beds or containers. The foliage of annual flowering vinca has a prominent rib in the middle of the dark-green, glossy leaves. The foliage color makes a great background for the outstanding flower color. These colors range from white to dark red, and some plants have dark or white eyes. Many varieties have upright or spreading growth habits, and new selections are offered every year. Today, I want to tell you about some of my favorites. 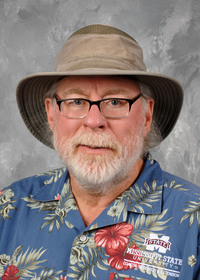 Jams ‘N Jellies was selected as an All-America Selections winner in 2012. This variety has flowers that are a deep, dark purple with a velvety appearance. The nearly black flower has a bright white eye. An older selection named a Mississippi Medallion winner in 2007 is the Titan series. Titan has an upright growth habit and makes a statement, with the potential to grow 16 inches tall and 12 inches wide. The 3-inch flowers are the biggest of the annual flowering vincas, and there are 11 flower colors to choose from. I’m really excited about the development of the spreading growth habits of the newer introductions. The colorful, ground-cover mats are always welcome in my landscape. Another I have always loved is the Cora Cascade vinca. These plants have good branching that creates a nice, mounded mass 8 inches tall and up to 36 inches wide. The trailing growth habit is perfect for showing off the big and showy flowers that come in colors of cherry, lilac, peach, blush, polka dot and strawberry. I’ve gotten creative with the Cora Cascade Pink Blush in my landscape by planting it in sconces on my fence. For top landscape performance, always plant in full sun to achieve the best flower color development. To help ensure success, plant in raised beds to increase drainage around the root system. Annual flowering vincas will develop root rot issues in left in wet conditions. 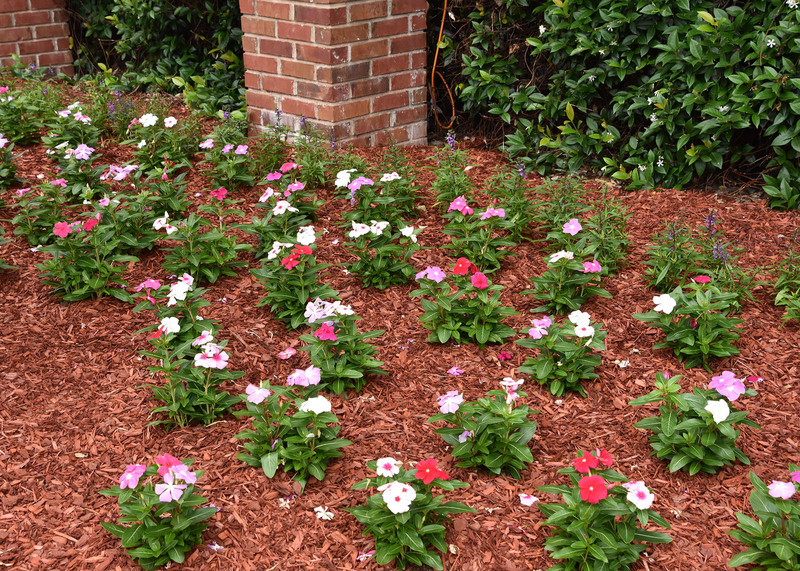 Vincas are heavy feeders, so be sure to incorporate a quality, slow-release fertilizer at planting. Monthly feedings with a water-soluble 20-20-20 or 20-10-20 will keep those flowers blooming. Annual flowering vinca are drought tolerant once established, but you should still maintain consistent soil moisture. Always provide supplemental water during the dry periods we have every summer. A layer of mulch is important. Bark mulch is fine, but if you can, use pine straw, as it allows for better airflow and reduces disease problems. Annual flowering vinca’s ability to tolerate hot and dry conditions make these plant good choices for containers. Let the plants with spreading growth habits spill over the edge in hanging baskets. When growing vincas in containers, always use a quality, peat-based potting media that is well drained but maintains adequate moisture. 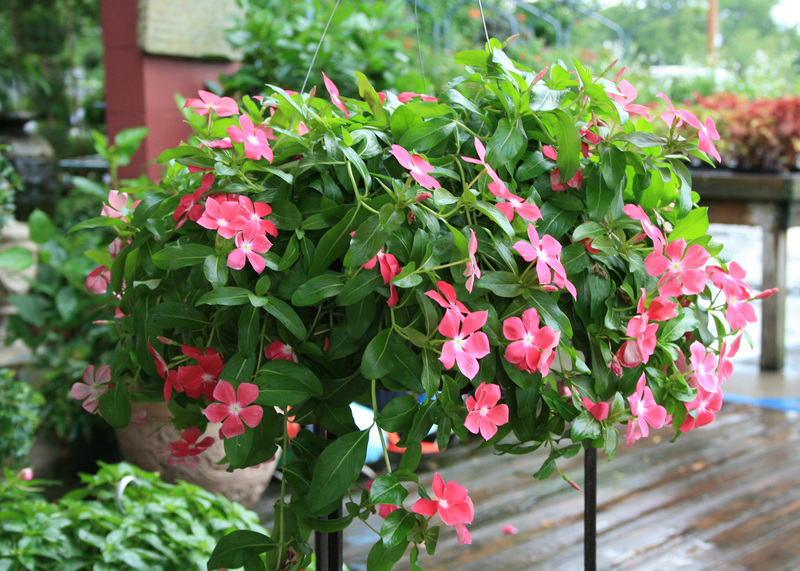 You must feed weekly with water-soluble fertilizer when growing vincas in containers.